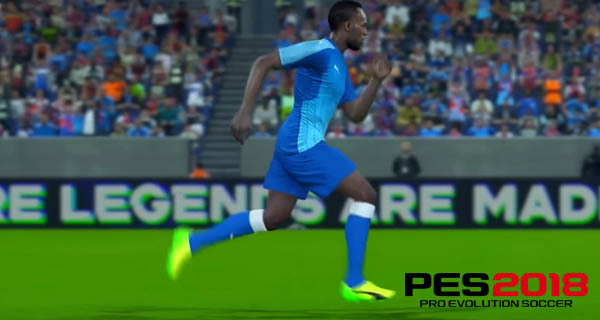 A new Pro Evolution Soccer 2018 video was released by Konami featuring Usain Bolt. In a previous report, people who preorder the Pro Evolution Soccer 2018 will be able to play the running legend Usain Bolt. Before transitioning to soccer, Usain Bolt is a famous runner so it is safe to say that he is the fastest game character in PES 2018. To celebrate this, a new video was released featuring Usain Bolt’s life with PES 2018. The video is just about 2 minutes long. You will get to see Bolt in the studio trying to be captured for the game. Also, the gameplay footage of him is also available, and it looks amazing. Pro Evolution Soccer 2018 or PES 2018 will release on September 14, 2017, for PC, PlayStation 4 and Xbox One. Are you excited to play as the Olympic gold medalist, Usain Bolt in Pro Evolution Soccer 2018? Share your thoughts with us in the comments below. Play PES 2018 Demo Starting August 30th For Free Know more about the Pro Evolution Soccer 2018 demo in the video available here!